Continued Congressional support for traumatic brain injury treatment and diagnosis will enable further research, clinical innovations and focus on military readiness, said Navy Capt. (Dr.) Michael Colston, the Defense Department’s director of military health policy and oversight for the assistant secretary of defense for health affairs. Colston appeared before the Senate Armed Services Committee’s panel on personnel to update members on DoD’s work in the TBI arena for service members, veterans and family members. “The department's approach to evaluation and treatment of TBI at the point of injury facilitates rapid identification and recovery, reducing the chance of another concussion before a service member's healed from a first,” he said. DoD’s mandatory screening program for TBI also promotes early identification of service members with concussion so that they can access effective treatment for physical, cognitive and emotional effects of the injury, he added. “We know that after a brief period of respite, can begin a progressive return to activity,” Colston said. “The vast majority of individuals who sustain a concussion improve clinically and don't have any sequelae [a condition that follows a previous disease or injury],” he noted, adding that on the other hand, doctors see patients who continue to suffer. “In my practice as a psychiatrist, I've seen a number of TBI patients with co-morbidities such as adjustment disorders, pain, anxiety, depression, [post-traumatic stress disorder] and substance-use disorders. So in short, we find TBI is a protean disorder that can present with a wide range of cognitive, behavioral and physical deficits,” Colston said. 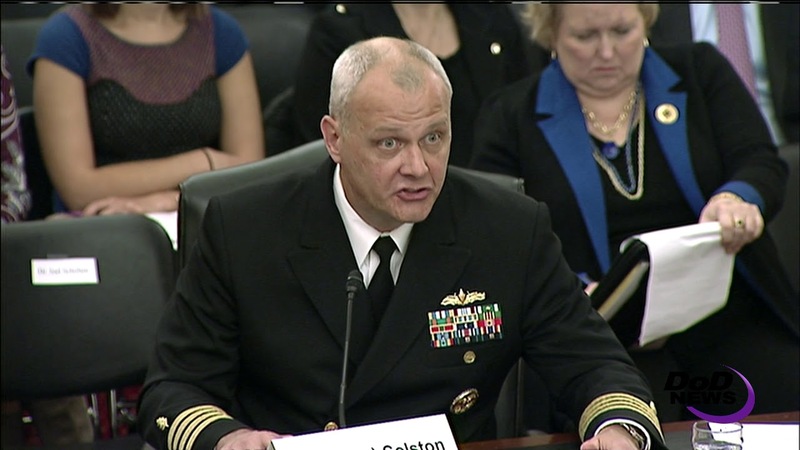 However, “We need to meet patients where they are on the road to recovery so DoD remains focused on hard problems around diagnostic clarification, because we need to get return-to-duty determinations, administrative dispositions and medical disability findings right,” he said.